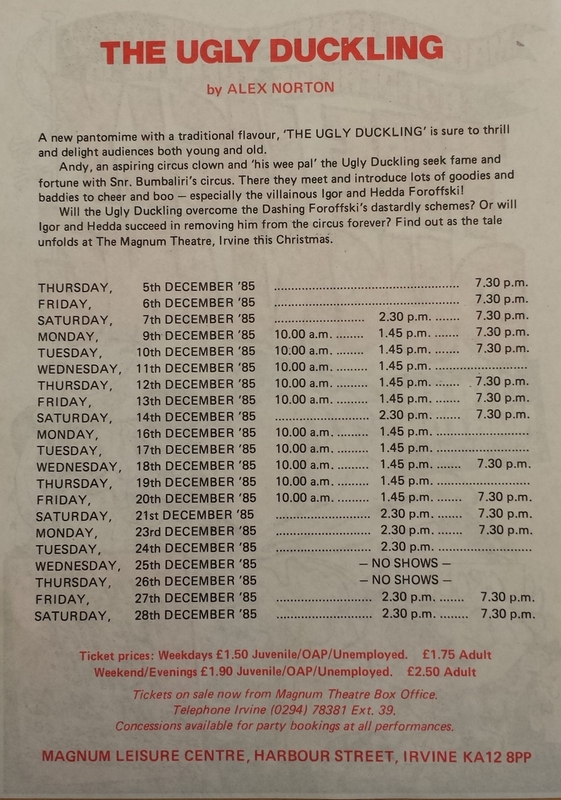 The Ugly Duckling was a pantomime for Borderline Theatre Company performed at the Magnum Centre, Irvine. 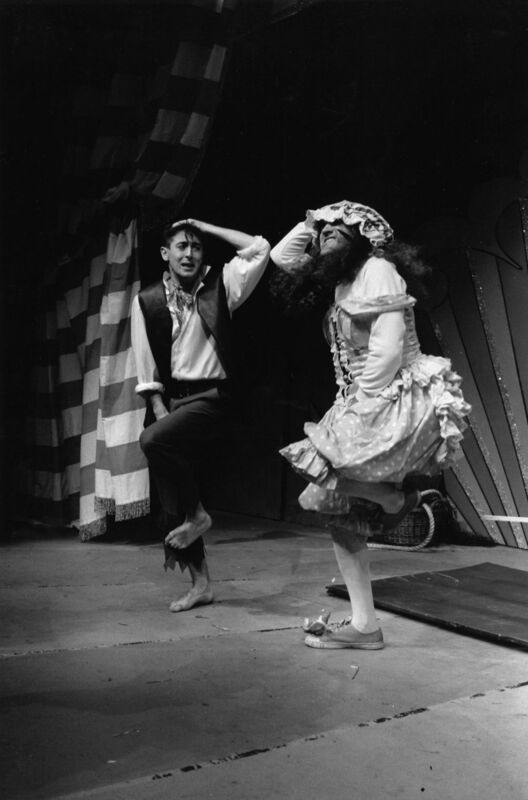 I played Andy, who befriended the eponymous duck and dreamed of becoming a clown at the circus. Forbes Masson, my Victor and Barry cohort, and another college friend Louise Beattie, were the baddies, and Jenny McCrindle who I went on to work with in Sleeping Beauty and The High Life was the duck. 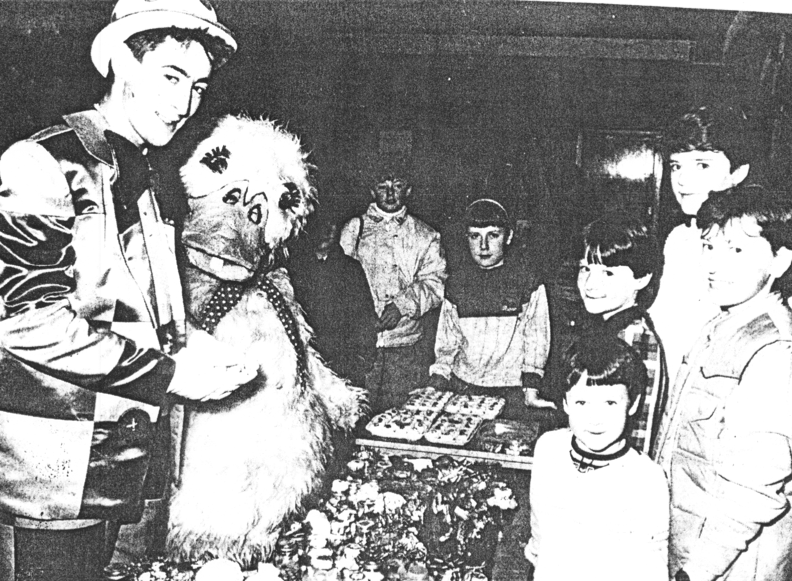 My biggest memory of this, aside from the wall of noise of the screaming children during each show, was getting up at the crack in the freezing Glasgow winter to get into a van and travel down to Irvine each morning. 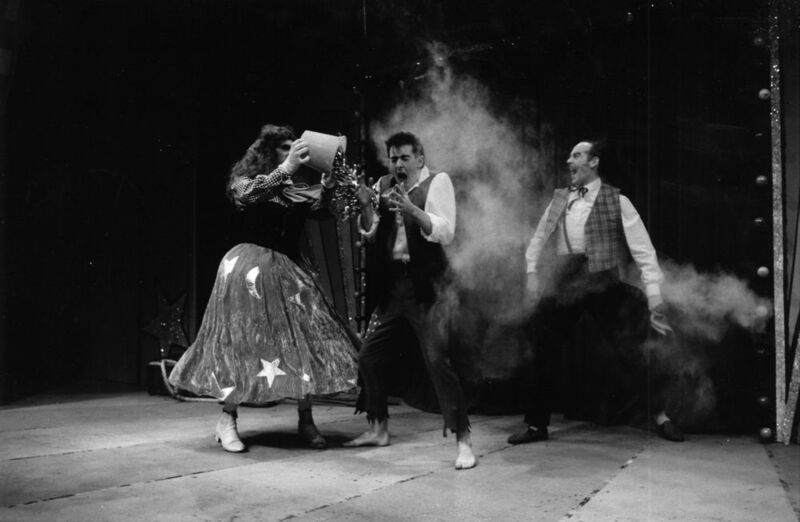 I was only out of drama school six months and already I was a moaning actor! But it is a real killer schedule. Three shows a day some days, so you sometimes came onstage and wondered if you had already done the scene you were about to do and therefore were about to repeat yourself, or had you just done it twice before that day in the previous two shows!! I also remember a hotel in Irvine where we used to go to that had a water flume that was used as a carrot to get through that third show some nights. 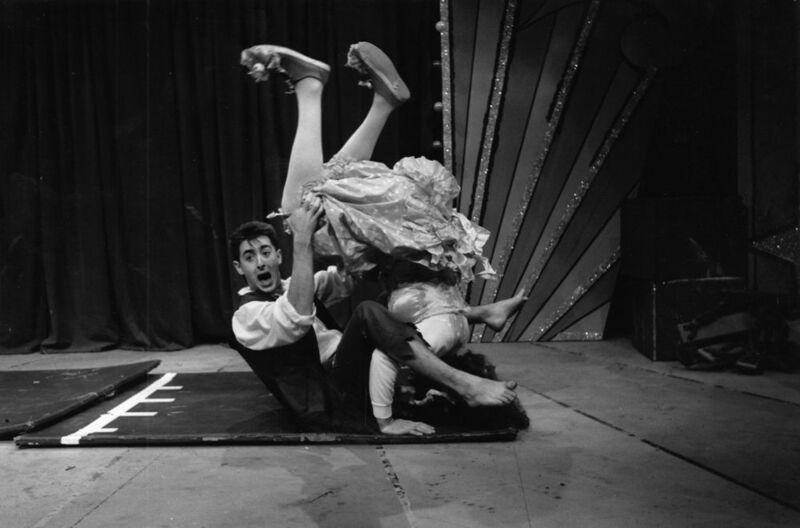 Victor and Barry took part in a late night revue, Late 'n' Live, at McNally's Cabaret Club as part of the Edinburgh Fringe Festival. I remember rushing along there after performances of Trumpets and Raspberries. 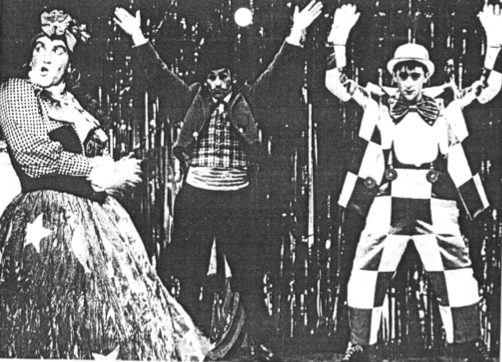 Other acts performing in the revue were Arnold Brown, Jerry Sadowitz and Mullarkey and Myers, which was made up of Neil Mullarkey and Mike Myers. Yes, that one. Passing Glory was the first film I ever worked on. 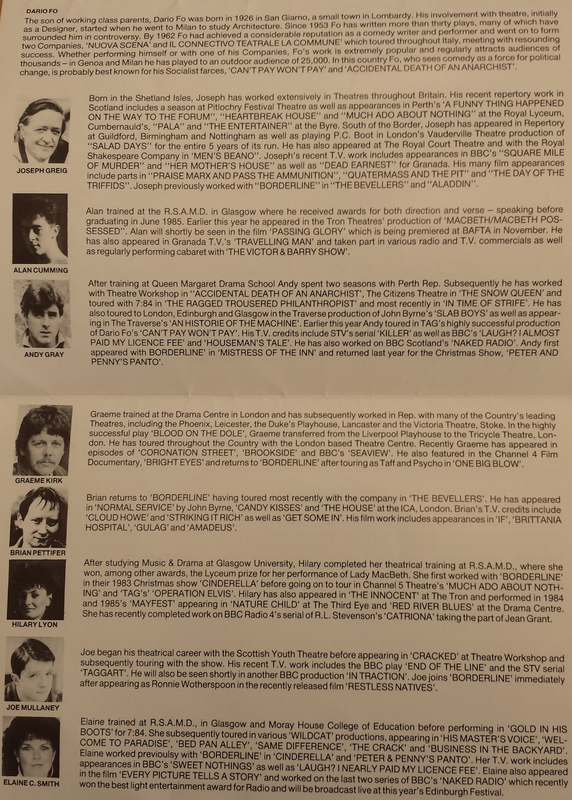 I was still a student at the Royal Scottish Academy of Music and Drama in Glasgow when I got the part. I had been allowed some time off my final year to make my theatre debut in Macbeth and Macbeth Possessed at the Tron theatre in Glasgow, and whilst I was still performing in the plays I was asked to go and meet the writer/director Gilles McKinnon. He is a really amazing man and I really loved his energy and his script. The character of Rab felt very different to anything I'd played before because in drama school plays I had only swanned around drawing rooms and French windows carrying a tennis racquet doing a plummy English accent. I had never played anyone my age, and never anyone from Scotland. Also Rab was from Glasgow and I wasn't, and I felt at the time a strange pressure that in some way I wasn't going to get those sorts of working class Glasgow boy type roles because I was not viewed that way. I guess I wasn't viewed that way because I actually wasn't that way - I was working class alright but had been brought up in a very rural area in the east of Scotland and had an East Coast/Highland accent due to my parents. Of course now, looking back on it, having played in loads of films doing loads of different accents, I feel stupid for being cowed in this way. But hey, I was 20 and still a student. The shoot was very exciting. Passing Glory was Gillies' graduation film from the National Film and Television School (NFTS) and so the crew was made up of a lot of his fellow students, who were really interesting and made my first experience on a movie set a special one. Everybody really cared about the film, they were really passionate. I knew Fiona Chalmers a little bit before the shoot and I had seen Ida Schuster in loads of plays at the Citizens' Theatre (where it was my dream to work one day) so I was a little in awe of her, but she soon made me feel really comfortable and we got on like a house on fire. The film also taught me a lot about the Spanish Civil War and how so many lefties from Scotland had gone over to fight for freedom, for the very notion of political and social freedom. I wish we had that spirit and fire nowadays. Passing Glory premiered at the Edinburgh Film Festival in 1986, and I remember going to see it and being shocked at how my nose arrived on the screen about 30 seconds before the rest of my face! It was the first time I had seen myself in a cinema and it wasn't easy. I nearly worked with Gillies several years later when he made a film of a play I had done, The Conquest of the South Pole, but sadly the dates didn't work out. He has made some really stunning films and I am so happy and lucky to have worked with him on my first film, one that I still realy like and am very proud of. 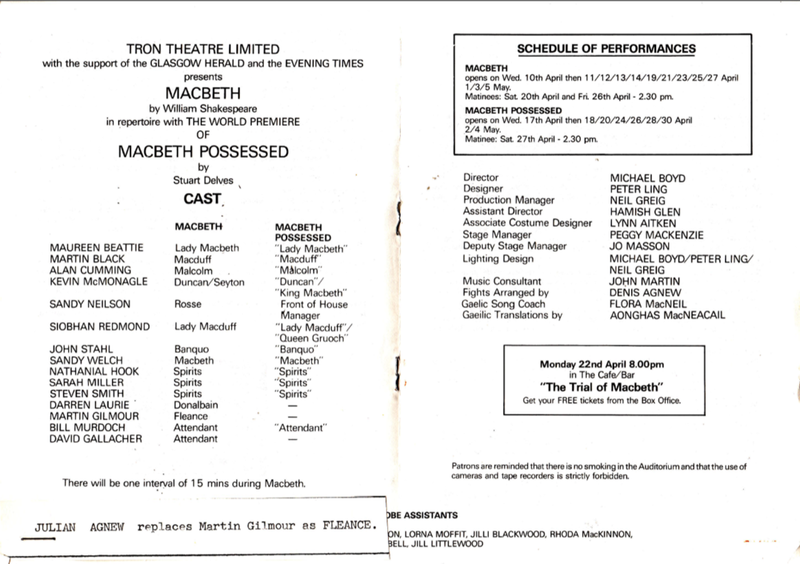 I was allowed time off from my final term at the Royal Scottish Academy of Music and Drama to play Malcolm in both Shakespeare's Macbeth and a new play, Macbeth Possessed by Stuart Delves. This was my professional theatre debut, and a completely amazing experience for me. 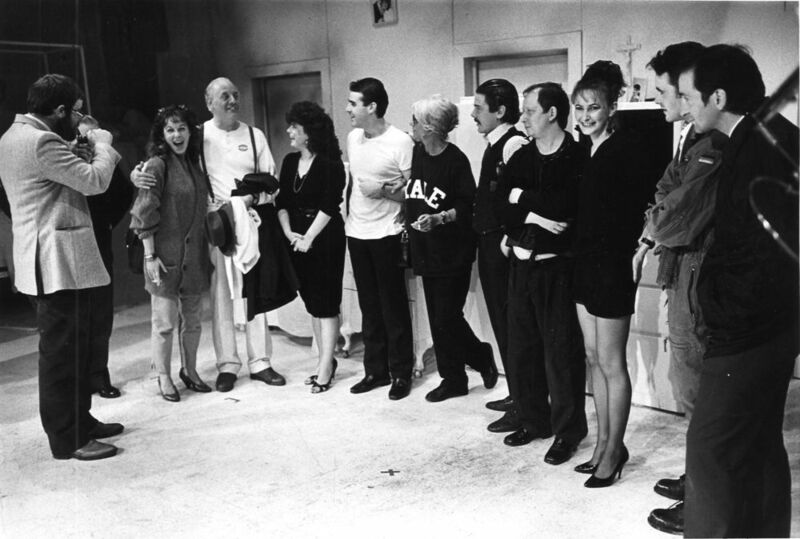 I was only 20 and still a student and here I was working with these really great Scottish actors on this brilliant play, in a new theatrical venue in Glasgow. 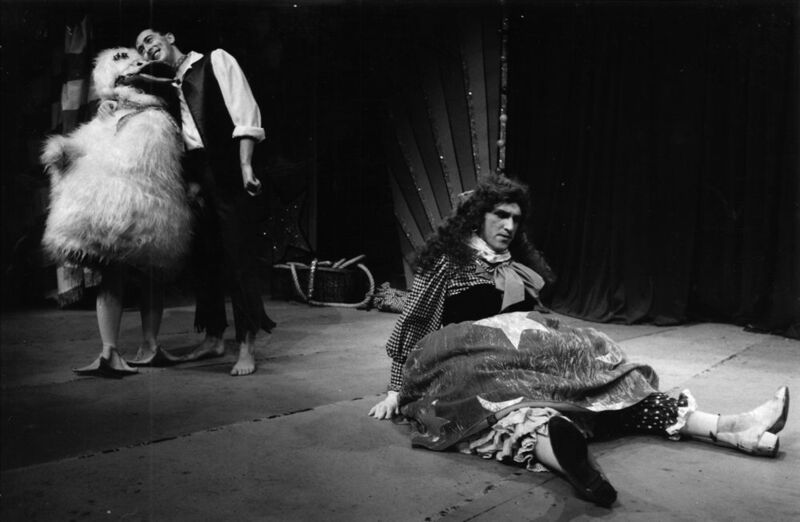 Michael Boyd directed and he really helped me open up as an actor in a way that nobody had at drama school, by making me look again and again at the text, and questioning it and my understanding of it. I was so eager to learn and to please Michael and I think in a way he made me the actor I am now. But he shouldn't be blamed! He insisted on putting back the 'England scene' which is often cut, in which Macduff comes to visit Malcolm in exile and we see a side of Malcolm that is not so pure and innocent as we might have been led to believe. 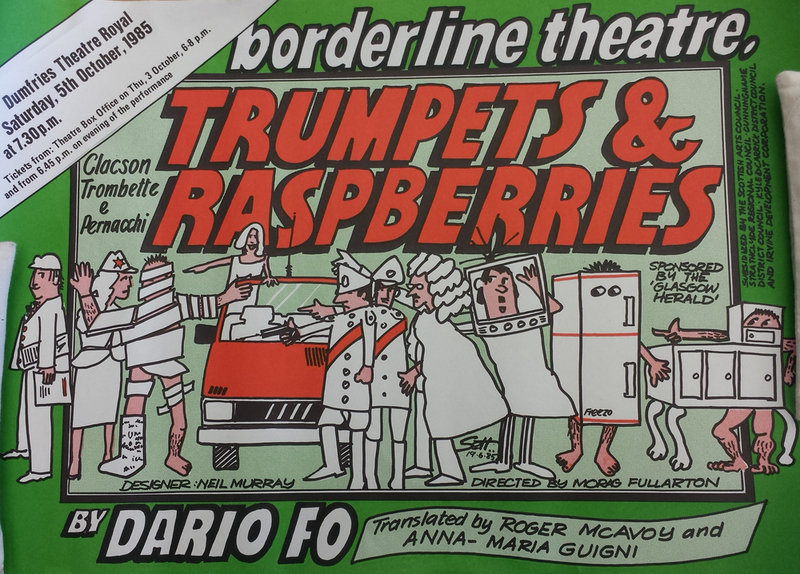 The play was produced by the Tron Theatre in Glasgow. I had first worked at the Tron as an usher in my first term at college, and then Victor and Barry appeared there in the weekly Gong Shows in the bar. In fact we went on to win the Gong of Gongs, hosted by Robbie Coltrane, and I think it was during that time that Michael noticed me and thought of me for Malcolm. Maureen Beattie was Lady Macbeth, and she had been in Dundee Rep's theatre-in education company that had come to Monikie Primary School when I was a little boy and made me want to become an actor! And also Siobhan Redmond played Lady Macduff and many years later she was Shona Spurtle in The High Life.